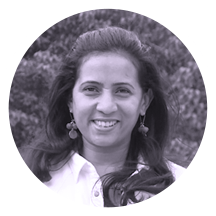 VantageFit: Laying the foundation to the good health of your employees! 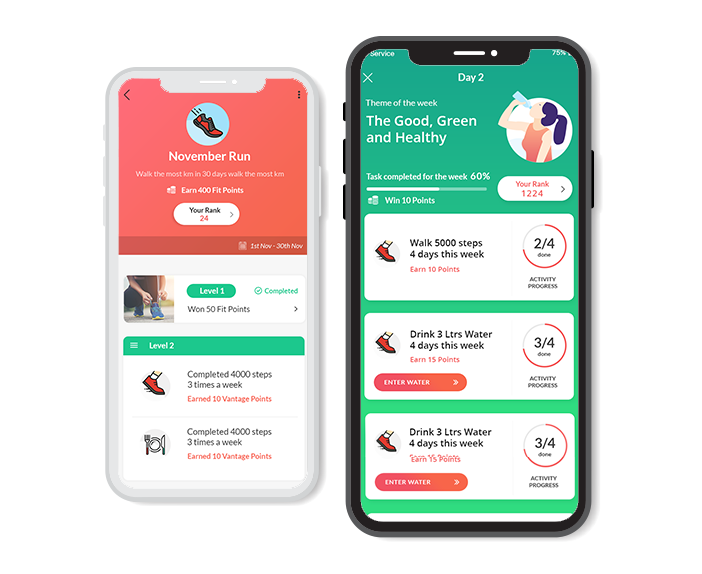 Vantage Fit is customizable mobile-first health and wellness application aiming to rejuvenate overall wellness of your employees. Organizations that implement health and wellbeing strategies can reduce their employees’ health risk factors by up to 56%. Drive a motivated workforce by encouraging a healthy lifestyle. 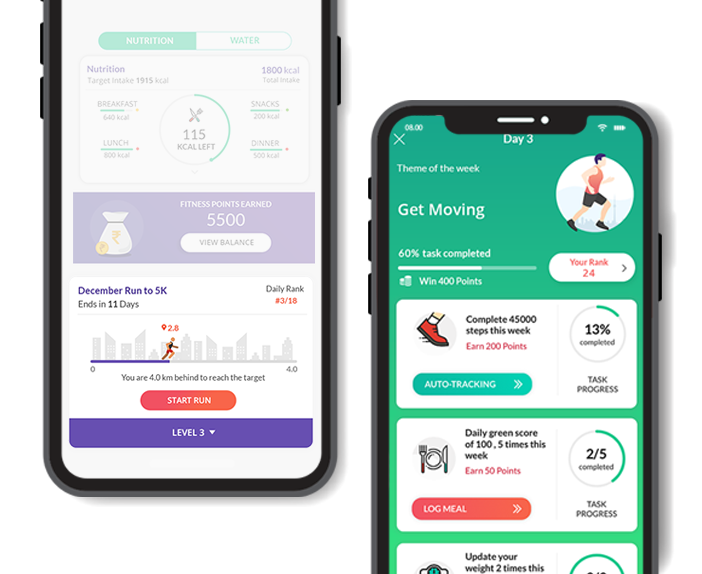 A complete employee wellness app with features for activity tracking, calorie intake, daily workout routine and many more. 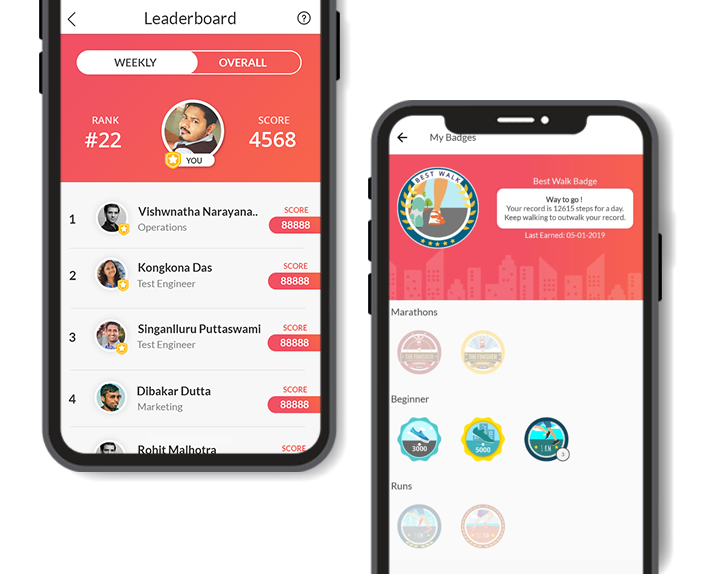 Make the health journey of your employees more interesting with gamification that involves health scores, leaderboard and other engaging in-app features. 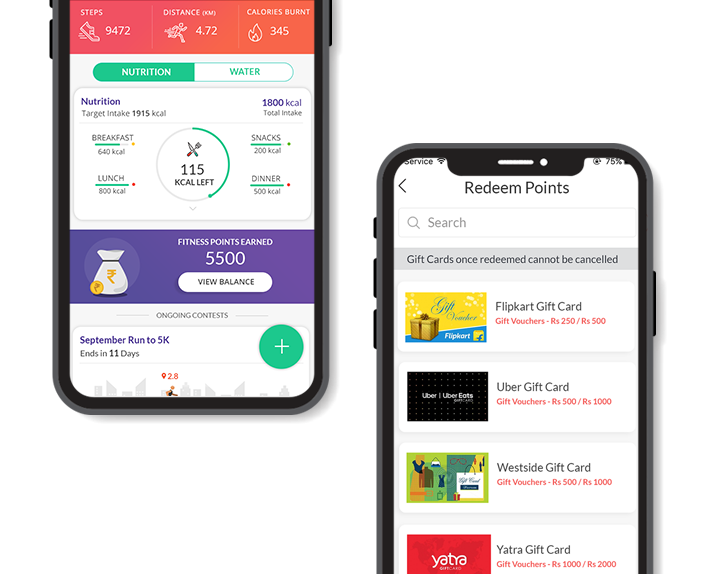 Encourage participation and show appreciation on their success with meaningful rewards. With VantageFit, you can reward your employees on completing a workout or clearing a level of physical activity. Engage your employees in healthy competitions, encourage sportsmanship and drive collaboration and efficiency within the workforce. 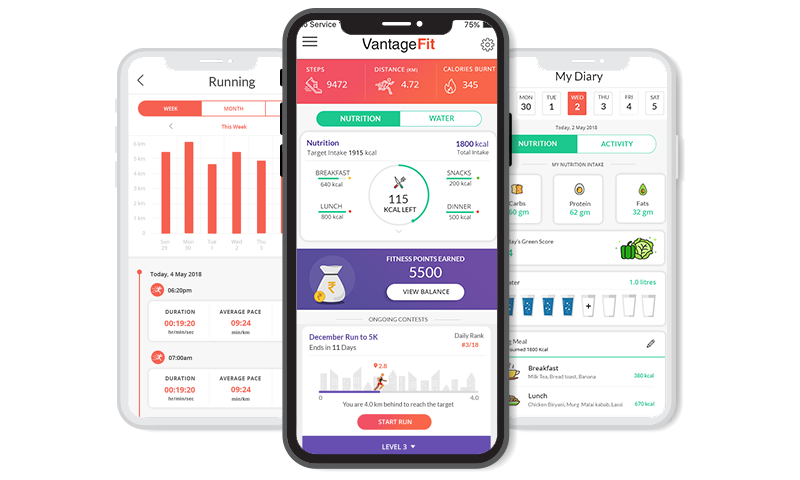 Vantage Fit makes it easier for you to conduct and run various events in your organization through the application.